Is Free Medical Billing Software the Right Choice? When you own a small practice, keeping your costs down is the number one priority. In this article we will list the pros and cons of using free medical billing software in your practice. Rent, supplies, payroll, it all adds up. When you own a small practice, keeping your costs down is the number one priority. So why would you add an extra expense to your budget by paying for medical billing software? Why not use free medical billing software instead? 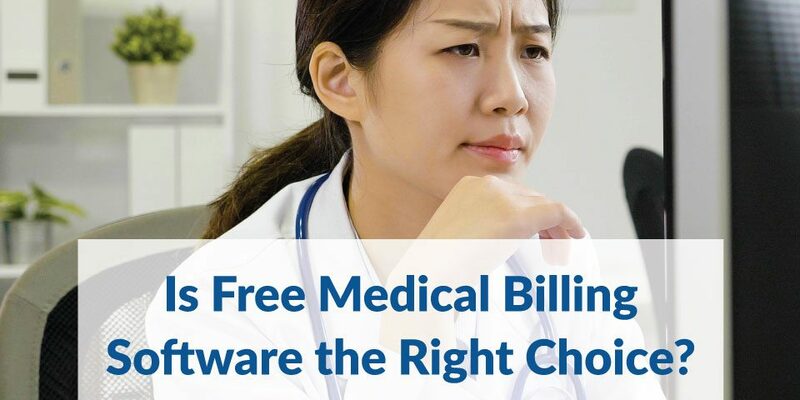 In this article we will list the pros and cons of using free medical billing software in your practice. Let’s state the obvious first. If you’re on a super tight budget, anything free will always be welcomed. Specially if you’re choosing between no software at all or free medical software, the second option will always be better. But don’t be fooled, sometimes free can be costly in the end. 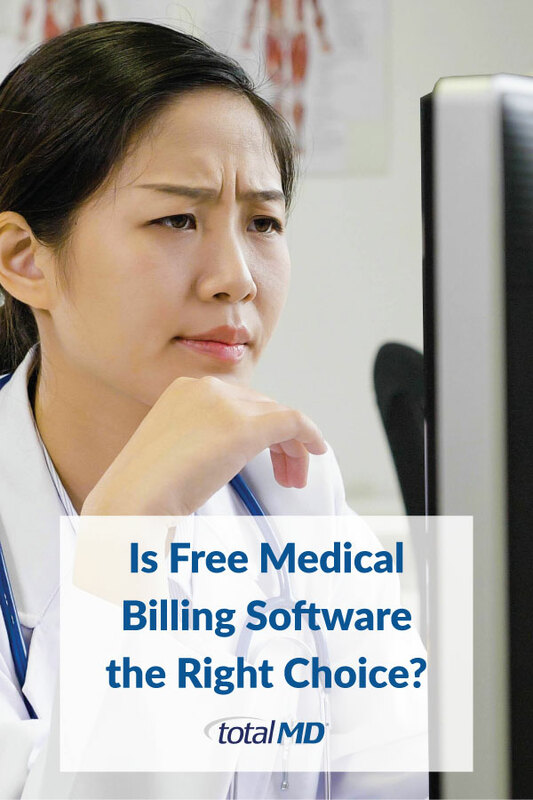 You should be aware of the limitations of the free software and ask yourself: what do I really want to get from a medical billing program? Sure, you may be saving a few dollars by using free medical billing software, but how much can you really do with this kind of program? Most of the time, companies will offer a free version of their software that is so limited you will eventually end up upgrading to a more expensive version. For example, free versions usually allow for only one provider or user, and give you only a certain, often low amount per month of electronic claims, patient statements, email and text appointment reminders, and even printed paper claims. One free medical billing software offers up to 25 patient statements a month. Can you imagine not being able to see more patients because your free software doesn’t allow you to? What if you have to see a patient five or more times in one month? In the end, that “free” software is costing you the money you are losing from all those patients you have to exclude. Con: Time is money too! Not only does free medical billing software offer you limited features, but it can also mean it will offer poor functionality and navigation. If you’ve been drowning in paperwork, and you’re seeing more papers than you see patients, you know how valuable time is. Your medical billing software should only help your practice be more efficient and productive, not add more stress because the program is not easy to use. And not only that, free versions usually don’t include tech support, which will become a headache when an issue comes up, and it most likely will. You will spend so much time trying to figure out the software by yourself, your free software won’t be as cost-effective as you thought. If you’re money conscious —and you should be— there are options out there that will fit your budget but still offer you the features you need. With TotalMD, you will get more than you expect! With monthly payments as low as $99 a month, you’ll get powerful features that will definitely make the difference. Even with this low monthly payments, you still have access to training hours, which means you won’t be alone trying to figure out how to get the most out of your new software. If you want to see for yourself what TotalMD can do, you can request a free demo anytime! We’ll be more than happy to chat with you and show you how TotalMD can help you run your practice more smoothly.